A five mile sustained climb to the Summit (7,056’) with a speedy descent on the return. This is a 16 mile Out/Back. No shoulders on the road. Caution during summer months as this is a popular sightseeing route for motorists. 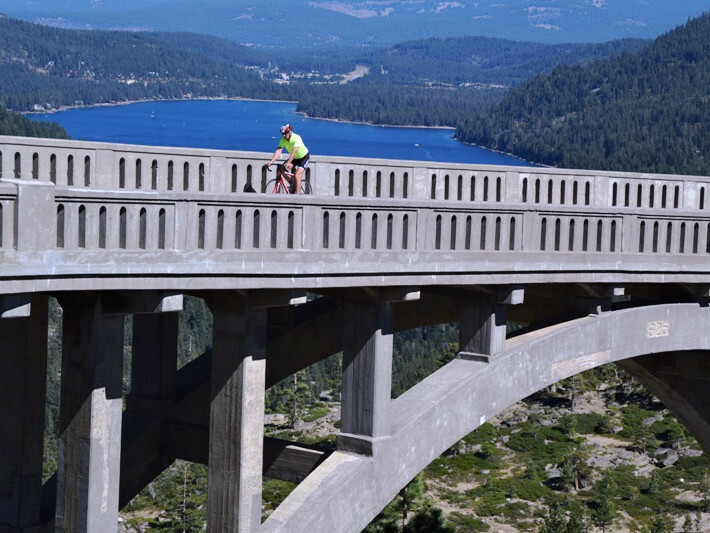 This ride starts at the intersection of Donner Pass Rd. and Frates Lane in Truckee. Follow Donner Pass Rd. and you will pass the Donner Memorial State Park. 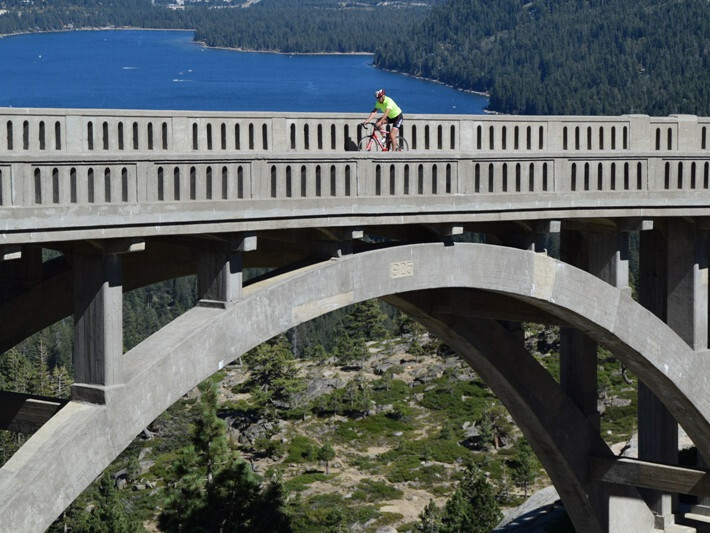 Along the north Shore of Donner Lake you will be riding along on bike lanes. Be cautious along this section during the peak summer months (July and August) because there is much activity with motorists and pedestrians – there is housing/lodging on one side of the roadway and the lake on the other. At the junction of South Shore Drive is the location of West End Beach Park. 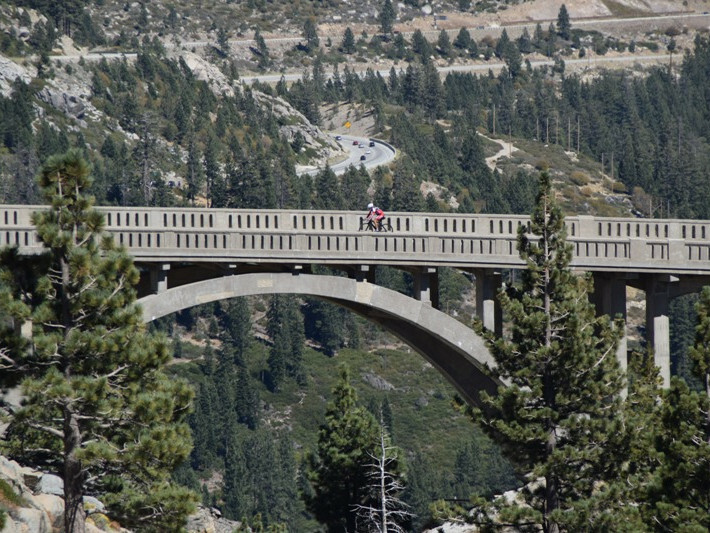 You will continue straight on Donner Pass Road to begin the five mile climb to the summit. There are no shoulders on the road. 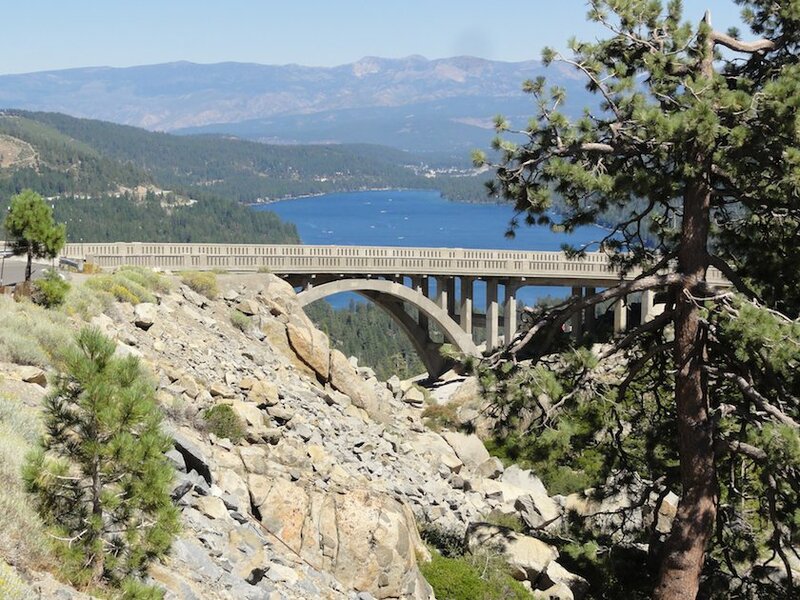 This is also the popular Hwy 40 Scenic Byway route for touring motorists because of its history and the great photo opportunities overlooking Donner Lake and the glacial valley below. The arched bridge is a popular image appearing in world-wide travel magazines and a location for automobile commercials. Be cautious on the descent as it can quickly become fast. This is a famously historic route you will be riding on. Because of the abundance of water in the area the Washoe would spend summers here hunting, fishing and gathering food supplies for their winter months in the lower valleys of Nevada. The ride is named after the ill-fated Donner Party who perished here during the winter of 1846-1847. They were attempting to cross the Summit en route to the gold fields but encountered severe winter conditions with freezing temperatures and 20 foot snow pack without having proper supplies or shelter – they perished. The Park is preserving the site of the Donner Camp and houses the Emigrant Trail Museum and the Pioneer Monument dedicated to the travelers of the Emigrant Trail who trekked across country for a more promising future in California. 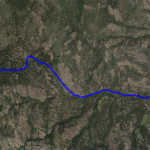 This route was first used by emigrant wagon trains in 1844, and in 1869 the Transcontinental Railroad passed nearby (railway still in use), and 1913 automobiles made the trip over the summit. The route became a state highway (U.S. 40) and later was replaced with a re-routed Interstate U.S. 80.